And so it begins......... just kidding!!!!!! I LOVE Christmas and have been fighting the urge to start holiday manis since the beginning of October! These two incredible colours are part of the Gwen Stefani for OPI Holiday Collection, and just happen to be my Christmas colour scheme this year! I have a different colour scheme each year..... I'm nuts. 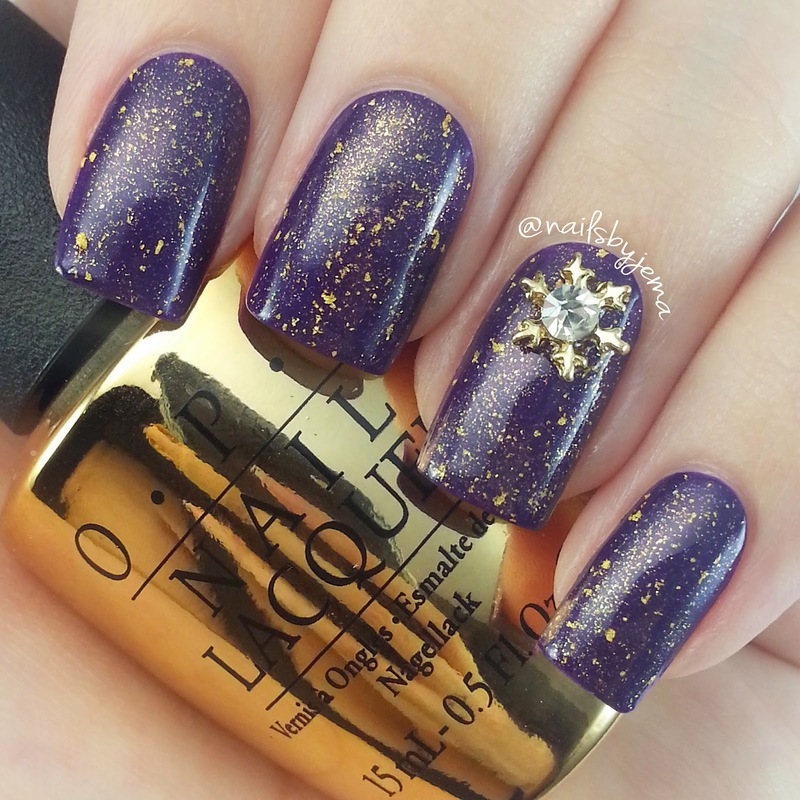 These polishes are 'I Carol About You' which is a gorgeous purple with a subtle shimmer & 'Don't Speak' which is an 18K gold flake top coat. So luxe! The snowflake charm is from eBay.